Bagleys Sales and Property Management. Bagleys Residential Sales Ltd are estate agents based in Kidderminster who cover Worcestershire and the West Midlands. Sarah and Nikki have a wealth of knowledge to enable you to get the best market price for your property. 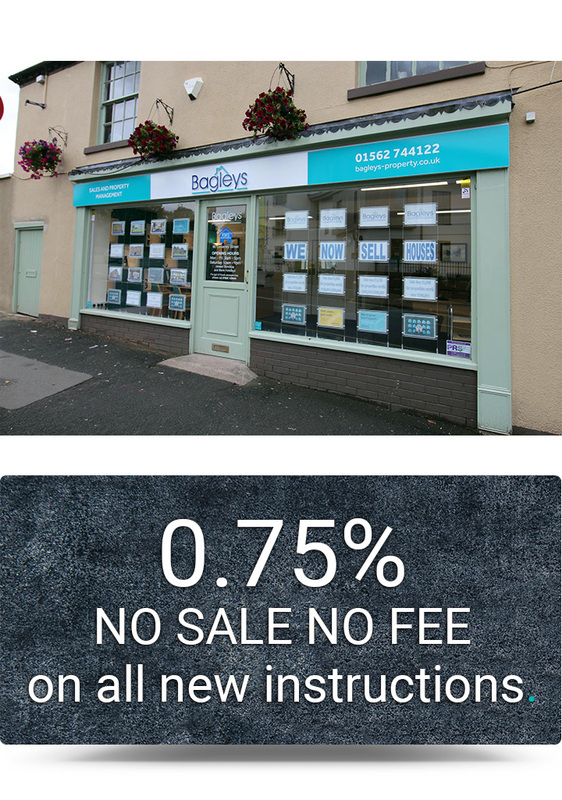 Bagleys will sell any property for 0.75% fully inclusive and will throw in a free EPC and floor plan for any new instruction. The fees are the same for multi agency properties so you have nothing to lose. Bagley Rentals Ltd manage properties on behalf of landlords in Kidderminster, Stourport-on-Severn, Bewdley, Blakedown, Bromsgrove, West Bromwich, and Tipton. Bagleys specialise in property management and offer excellent landlord services at an extremely reasonable price- just 10% (reduced to 8% for multiple properties). Bagleys also offer advice to landlords to build their portfolios to ensure the best rental yields. Why choose Bagleys Sales and Property Management? We're professional, friendly, approachable and care! 2 bedroom apartment to let in Tipton. 1 bedroom flat for sale in Stourport-on-Severn.